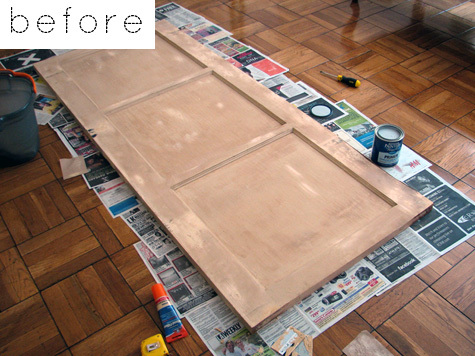 The Collected Interior: Door turned Headboard! And here's the dramatic AFTER above... Bold. Modern. Very cool! What's in your attic? Very chic! I love those silhouette portraits too! Have a terrific day! WOW! That looks absolutely AMAZING! 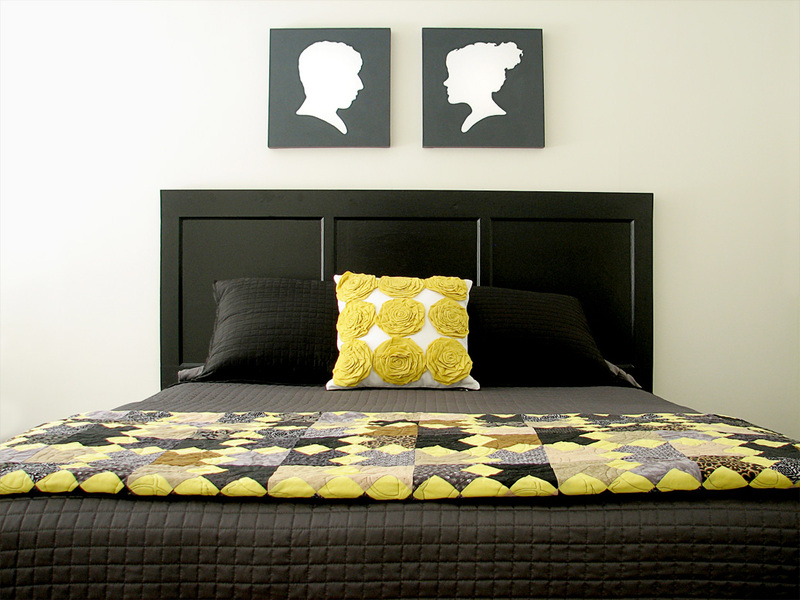 I love the black and yellow in the room too! Great job!! That looks awesome! It really came out fantastic. I love those silhouette portraits too! Especially how they soften that bold n' black headboard. They did a fabulous job at A Pair of Pears! Amazing! So modern looking! Love it! I need to do that for my daughter's bed but I need to find a door! maybe craigs list? OMG fabulous... maybe look in Habitat for Humanity?? ?